4 - Good (buy), Beer Reviews, English Barleywine, USA, Westbrook Brewing Co. Brewer Description: I could not find much information about this beer. 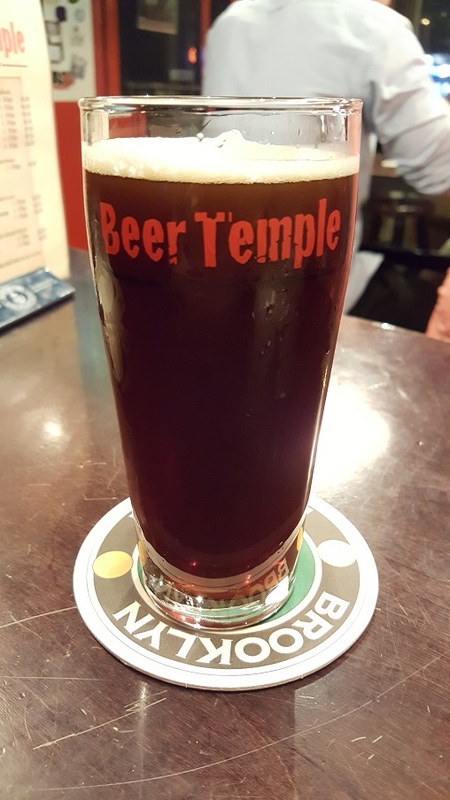 Intro: A 250ml pour on tap at BeerTemple into a BeerTemple mini pint glass. Appearance: It poured a hazy dark brown colour with a half finger tanned head that dissipated fairly quickly but left nice spotty lacing. Aroma: Wood, oak, Tennessee whisky, sherry and dried plum. Taste: Very similar to the aroma with Tennessee whisky, oak, sherry and dried plum along with hints of vanilla, caramel and cocoa bean. Mouthfeel: Full to medium bodied with light carbonation. Overall: This was a very nice sipper that is well balanced.